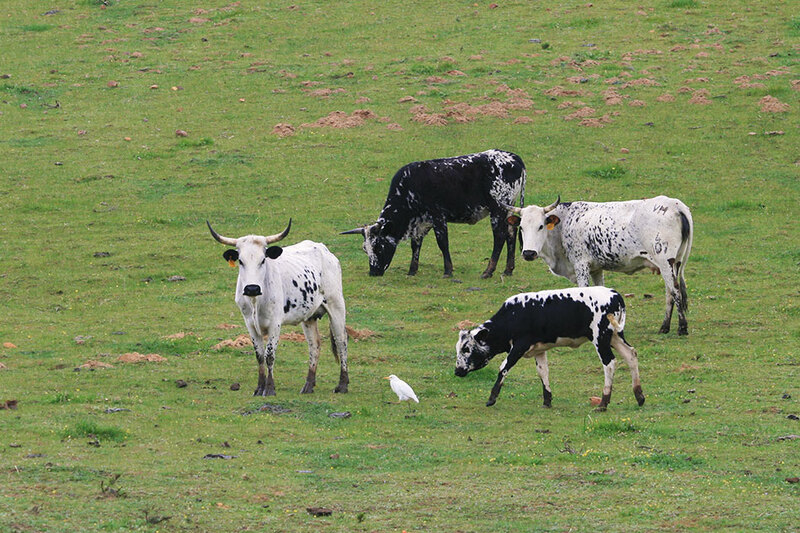 Nguni cattle, indigenous to the area and beautiful in their unique patterns, can be found wandering the farm in open, free-roaming fields. 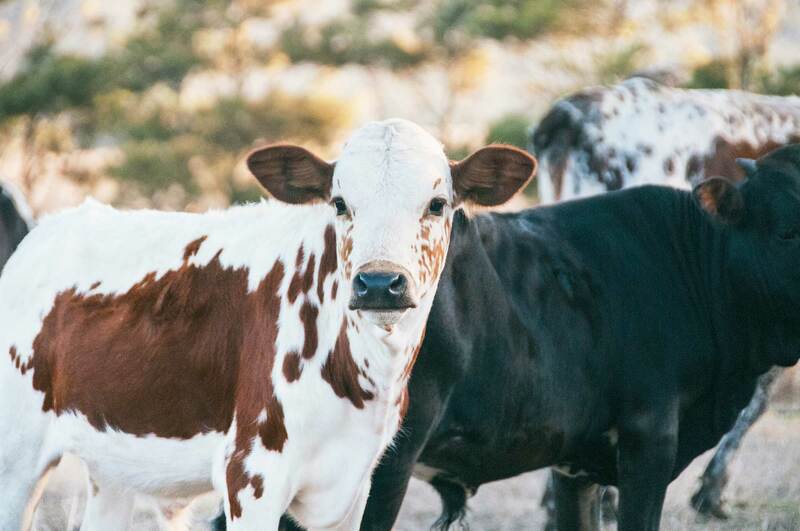 With eleven registered stud bulls and over 171 cows and heifers, our herd has become one of the most sought after in the country. 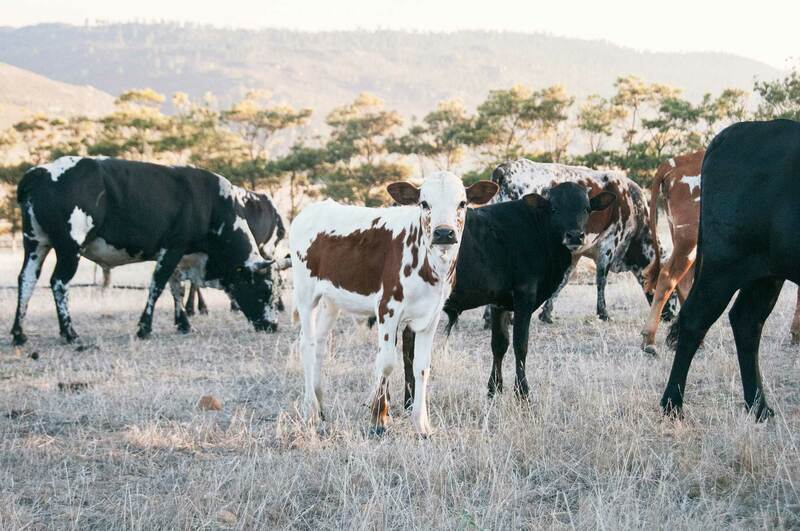 PaardenKloof Estate currently is home to eleven Stud bulls, certified by the SA Nguni Society and Stud Book and 171Registered Stud Cows and Heifers (and we are always growing!). 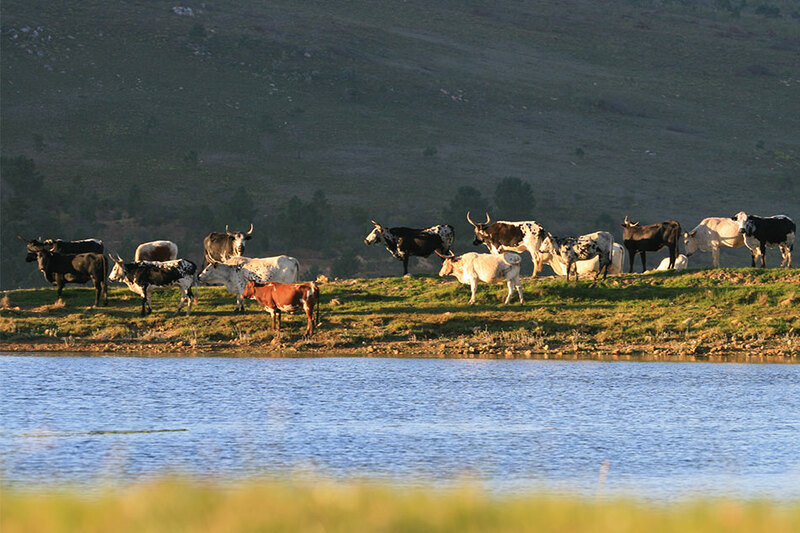 Based on the ecological principles of the farm, the Nguni herd follows a natural rhythm and enjoys a free-grazing lifestyle. 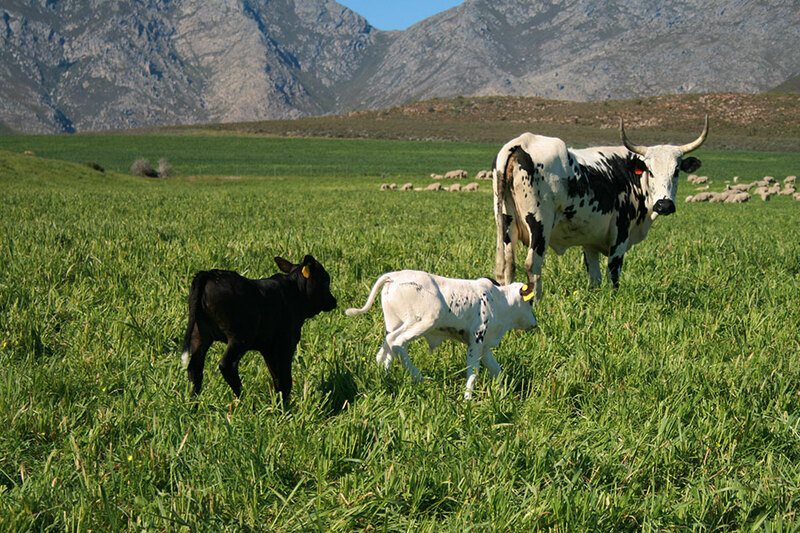 These principles also include alternative solutions to the complicated weaning system where one avoids putting the mothers under stress so that they can conceive naturally and easily, and by breeding them in groups on open lands. 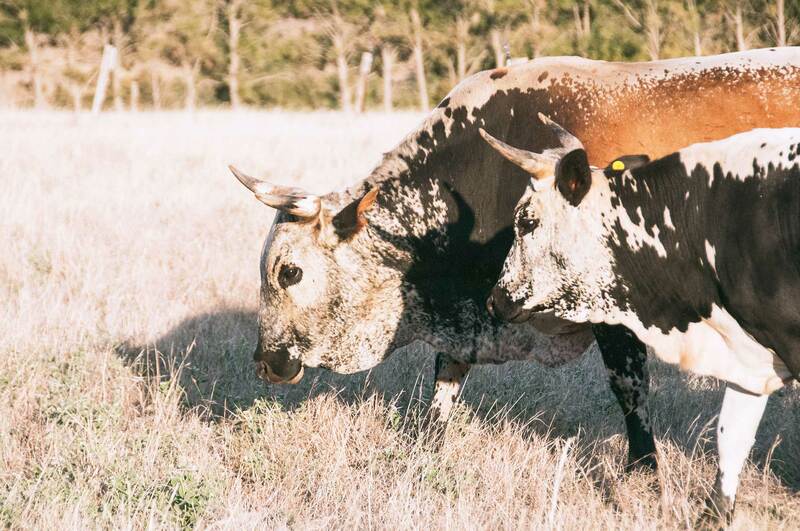 These techniques have led to strong, healthy cattle that have only improved with each new generation. 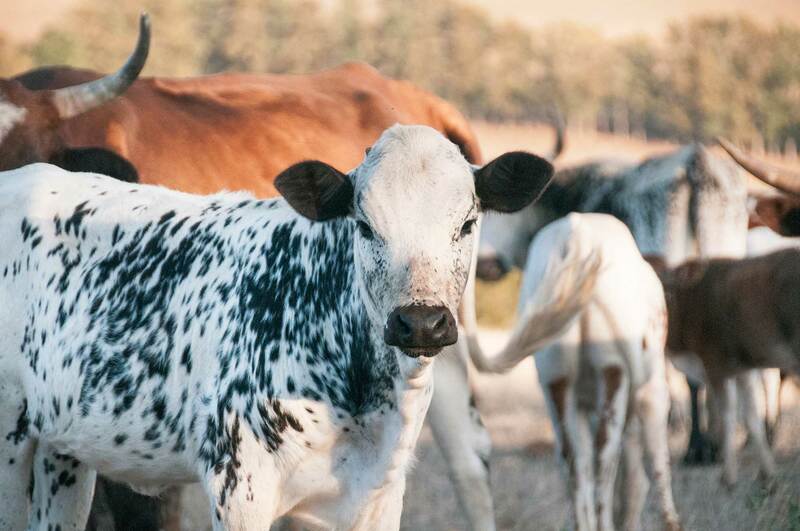 We sell many of our Nguni cattle on an annual basis, ensuring a slow but sure growth of our own herd and the constant supply of Nguni hides and livestock to those interested. 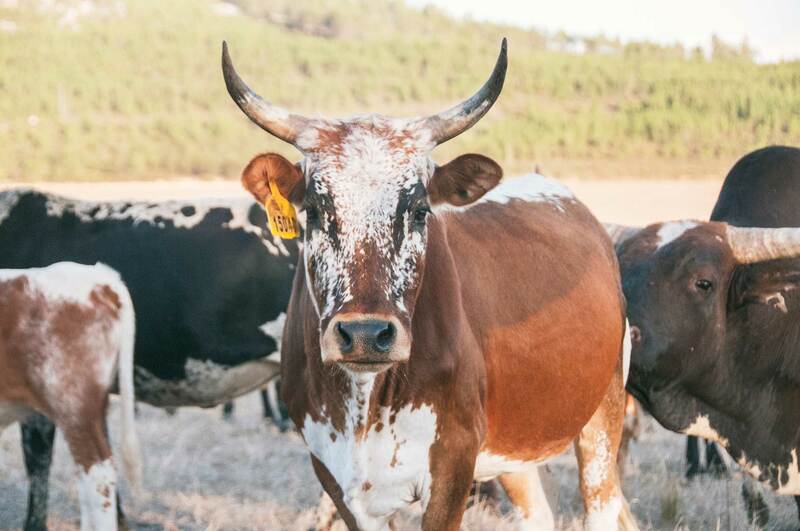 PaardenKloof Estate is one of the first farms in the Western Cape to have re-introduced the beautiful indigenous Nguni cattle to the Cape, its original home. 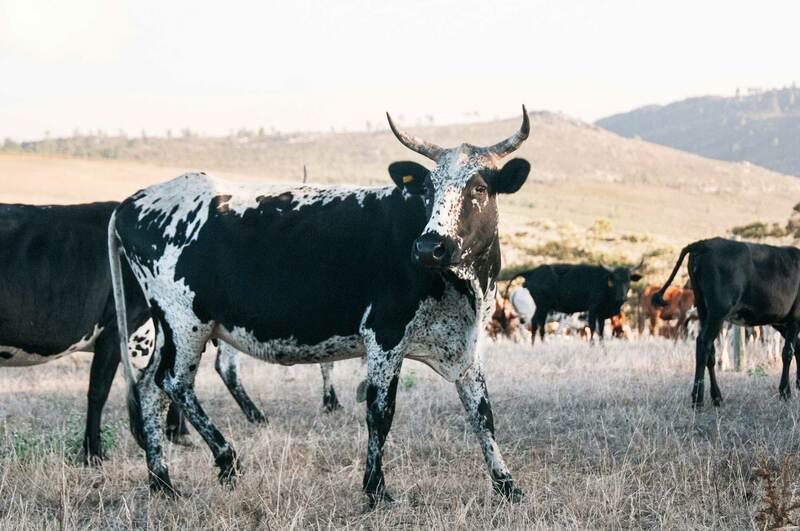 Herded and bred by the indigenous Khoisan in this very area for thousands of years, Nguni cattle are perfectly attuned to the environment on the farm and are resistant to most diseases, ticks and drought. 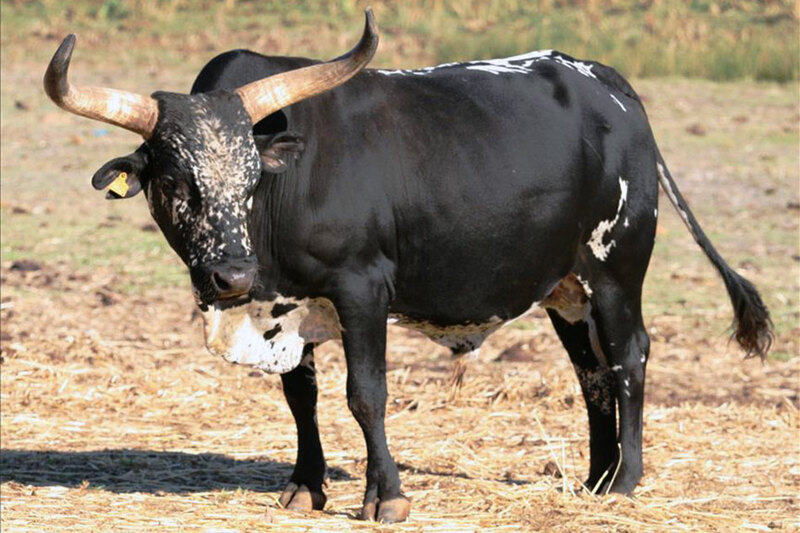 Their name is derived from the black tribes of Africa that first farmed these massive beasts across the continent, collectively known as the Nguni people. 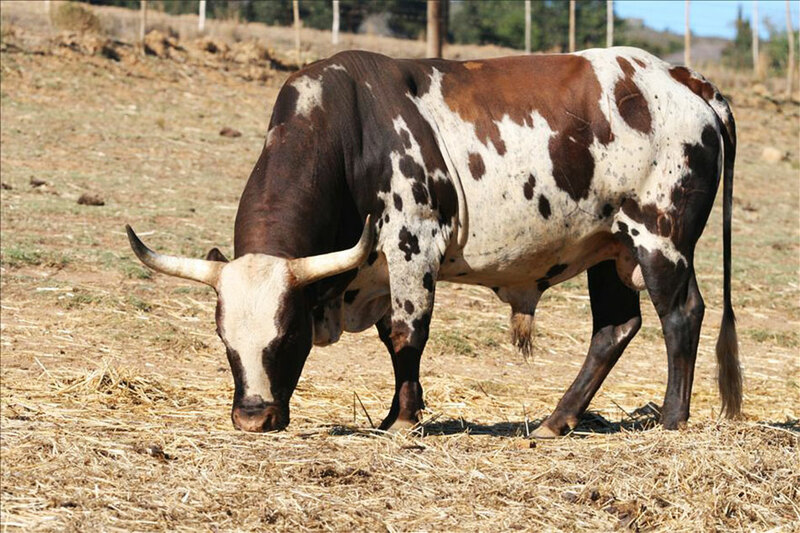 The breed itself is a mixture of Bos taurus and Bos indicus cattle that entered Africa over 8000 years ago and are a hardy, medium-sized breed of cattle that weigh around 500 – 600kg (for bulls) and 300 – 400kg for cows. They are excellent foragers and each coat is as unique as our fingerprints. 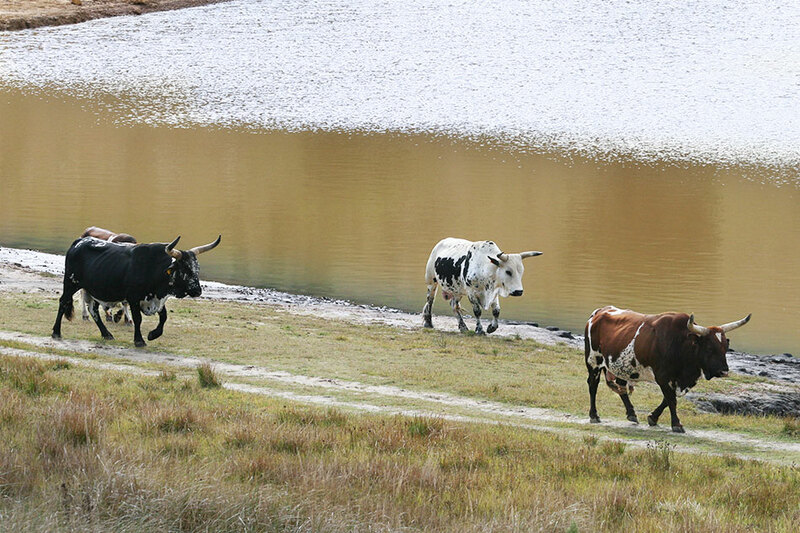 Nowadays, these cattle are central to the traditional Zulu and Xhosa kraals, where they symbolize wealth, status and prosperity. 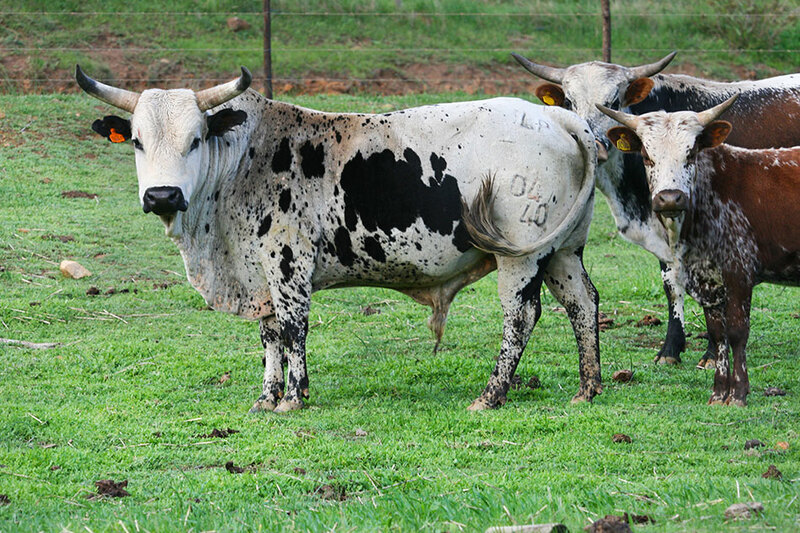 Their mild temperament and refined characteristics make for incredible cattle, and all of our stud herd demonstrate the essence of Nguni cattle in traditional African culture.